The rise of credit card fraud poses a substantial risk to businesses. According to CreditCards.com, 31% of U.S. adults received a fraud alert about a credit card transaction in 2017, which is a 15% increase in comparison to 2015. Also, a report published by Nielsen estimates that credit card fraud will account for over $31 billion in losses by 2020. Typically, it’s a bit hard to combat credit card fraud without the help of technology and proper software. However, a few warning signs raise a red flag that your customer might not be the actual cardholder, but someone trying to scam you. Your customer pulls a credit card out of a pocket rather than a wallet or purse. Your customer is purchasing an unusual amount or variety of expensive items. You’ve got a large order with multiple payment cards. Your customer is rushing you to close the sale and looks uninterested in details about the product or price. You notice your customer looking at the signature on the back of the credit card as he or she signs. EMV chip cards are an important ally in fighting credit card fraud. According to Visa, merchants that employed EMV-chip-reading terminals for transactions have seen a drop of 75% in counterfeit card and fraudulent purchases from September 2015 to March 2018. From September 2015 to June 2018, the number of merchant locations accepting chip cards went from 392,000 to over 3.1 million. Today, EMV chip cards are considered a global standard because they keep your business safe, protect your customers’ data, and prevent you from being liable for credit card fraud. 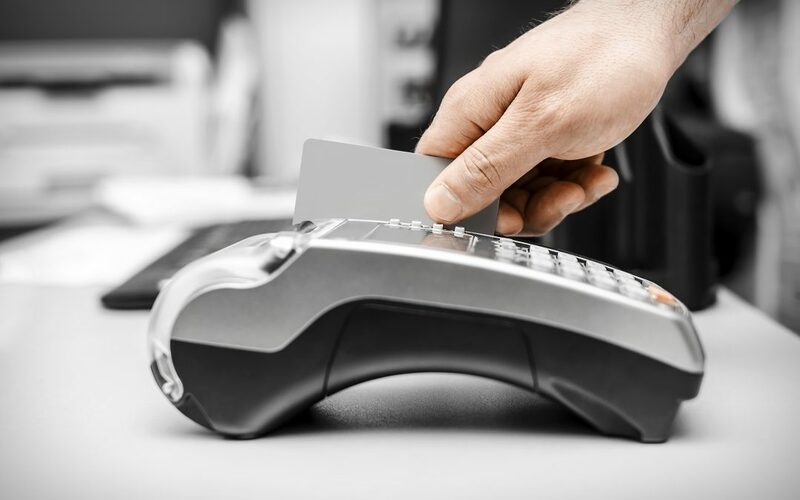 One of the best ways to protect your business against credit card fraud is by acquiring cutting-edge payment solutions like the ones we have at American Verification Processing Solutions. From countertop terminals to virtual gateways, our solutions are PCI-compliant and designed to increase your payment security, mitigate risks, and keep you worry-free. Contact us through or website or by calling (800) 719-9198 to schedule a free consultation.